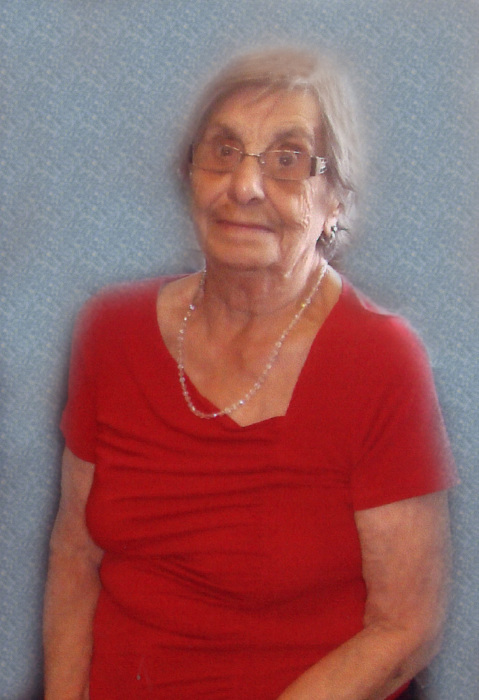 Elsie Margaret Soloducha, late of rural Prince Albert, SK, passed away on July 29, 2018 at the age of 87 years. Elsie is survived by: her loving husband: Sam; and her son: Grant; her brother: Charlie (Delores) Voelpel; her in-laws: Sharon Soloducha, Nick (Betty) Soloducha, Nettie Kerpan and Steve Soloducha; as well as nieces, nephews, extended family, neighbors and friends. She was predeceased by: her parents: Adam and Caroline Voelpel and her sisters: Irene Soloducha and Katherine Hubick. Funeral Service will be held on Thursday, August 2, 2018 at 2:00 p.m. at Messiah Lutheran Church, 1795 15th Ave. East, Prince Albert, SK with Pastor Iris Kristjánsdóttir as Officiant. Interment will take place in Steep Creek Cemetery. Donations in memory of Elsie may be made to the Steep Creek Cemetery Fund. Family and friends wishing to send online condolences are welcome to visit www.beaulacfuneralhome.com. Arrangements have been entrusted to the care of Beau “Lac” Funeral Home, Tracy-Lynn Lenchuk, Funeral Director, Prince Albert, SK 306-763-3322.